BibleByte Books ​ published Kris Murray’s ‘ Exodus: God of the Slaves Historical Christian Novel on March 11, 2017. The book is available in bookstores like Amazon and Barnes & Noble. It is also available as an e-book on Amazon Kindle. You can follow Kris Murray’s Game Developer log and historic novel updates at his Facebook page here. Story: A new god comes to Egypt and sends his emissary ahead of him. A declaration of war is made that shakes the Egyptian pantheon to its core. Four young Egyptian soldiers witness the wonder as disaster upon disaster befall their homeland. Follow Yalu, Nebit, Badru, and Tau as they experience the plagues on Egypt for themselves. Yalu, a natural leader tries to survive as he attempts to overcome his past. Nebit carves out her own path with her daggers, leaving deception in her wake. Apprenticed to Pharaoh’s chief magician, Badru attempts to make sense of the battle that rages on above their heads. Tau fights on to win glory and honor for himself. How will they respond as the statues of the gods they’ve known all their lives crumble to the ground all around them? Feel how the Egyptians felt as war rages across their pantheon. Relive the familiar Exodus story set in the exotic land of Egypt from a fresh new perspective. 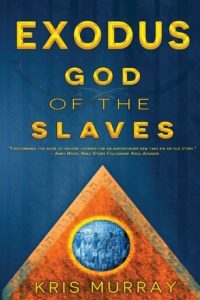 Rediscover the wonders and signs from God of the Slaves. Kris Murray is 34 years old and currently resides in Folsom California. He regularly attends weekly worship services at a non-denominational church where he helps out with music, playing violin and viola. He is also a member of Bible Study Fellowship where he volunteers teaching the Bible in the children’s program. As a boy, he enjoyed writing and wrote numerous short stories. His mother, being a librarian, has always encouraged him to write and saved many of his school writing assignments. And now he can share them with his own six year old son to provide encouragement. He read classic books like the Lord of the Rings and the Chronicles of Narnia and was fascinated by the worlds created by J.R.R. Tolkien and C.S. Lewis. More recently, reading books like “The River God” by Wilbur Smith provided Kris with additional insight into the relevant time period for the book. In addition to writing and playing music, Kris, his wife, and son, enjoy biking and hiking in the outdoors at the many natural wonders local to Northern California and beyond. 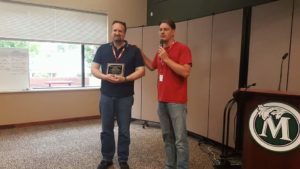 The Christian Game Developer’s Conference Board of Directors presented the Barnabas Award to Phil Conrod at the 2016 Christian Game Developers Conference at Multnomah University in Portland, Oregon. The Barnabas Award recognizes individual(s) who greatly contributed to the Christian Game Development Industry and/or the Christian Game Developers Conference mission. Phil graciously accepted the award on behalf of the entire Conrod family and BibleByte Books & Games. John, Joyce, and Phil Conrod were early pioneers in the 1980s publishing the first commercially successful Computer Bible Games series in Christian Books Stores and conferences. Seth Crofton is pictured here presenting the Barnabas award to Phil Conrod. 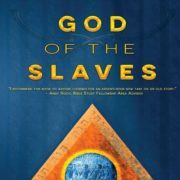 ​ As announced at the Christian Game Developers Conference in 2016 at Multnomah College in Portland Oregon, Kris Murray is working with BibleByte Books ​ to publish Kris’ Exodus: God of the Slaves: Bringer of War Historical Novel. Kris will also join our team to help co-develop our newest Unity 3D Bible Adventure game computer programming tutorial and game called The Exodus Adventure. The new Unity 3D C# programming tutorial will teach teens how to develop there own 3D Adventure games using C# and Unity 3D. 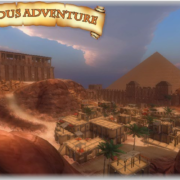 We are planning to launch the new 3D programming tutorial tentatively called Introduction to C# Using Unity 3D: The Exodus Adventure at CGDC 2017 which will be held in Portland, Oregon. BibleByte Books & Games is working on Extreme! 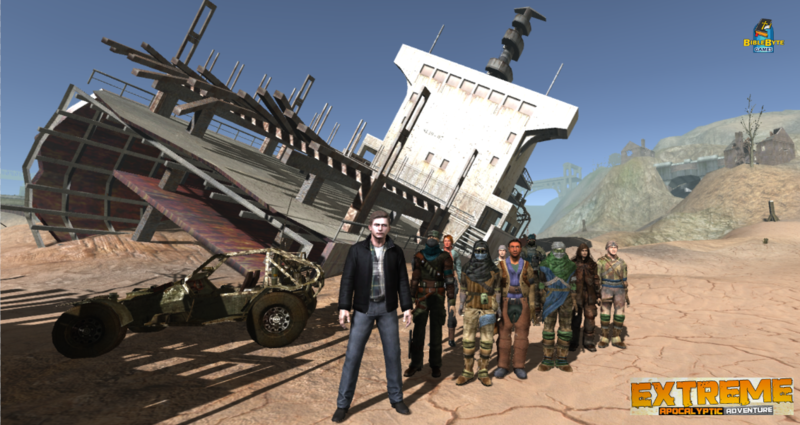 An Apocalyptic Adventure 3D action adventure vehicle based game based on the Book of Revelations. This Unity 3D Vehicle Controller C# Tutorial is planned for 2019. Click on the picture above for more details on this new game project. 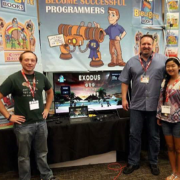 As announced at the Christian Game Developers Conference​ (CGDC 2014) in Portland Oregon, BibleByte Books & Games is working on a new Computer Based Role Playing Games (RPG) based on the Missionary Journeys of Paul. This RPG Game will actually be an PC/MAC Based Adventure Game and will not be a game programming tutorial. We expect it will take many years to develop as it is quite large in its scope and a very small team is working on it in their spare time. 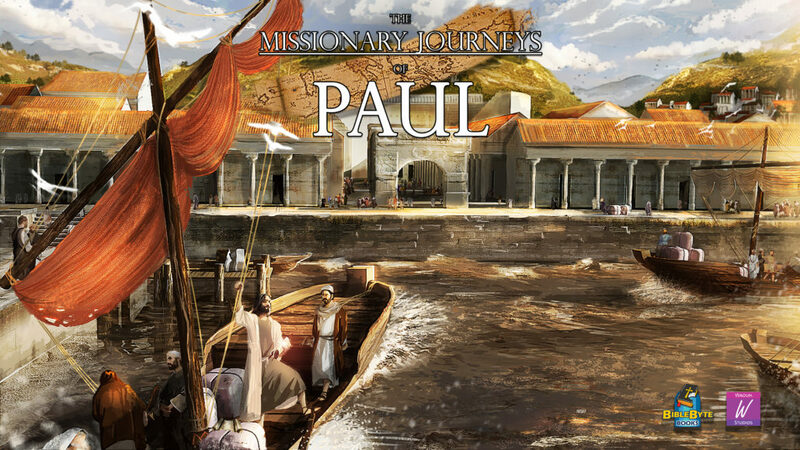 The is tentatively ​ called The Missionary Journeys of Paul. You can track the development of this game ​project here. BibleByte Books & Game started re-imagining ​our original text based Exodus Adventure game (which was originally developed using BASIC back in 1986)​ as a new 3D Point & Click Bible Adventure Game in 2012. 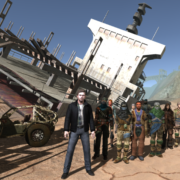 We needed a new 3D Game Engine to develop the re-imagined Exodus Adventure game so we switched our game development environment from Microsoft Visual C# XNA 2012 to Unity 3D C#. 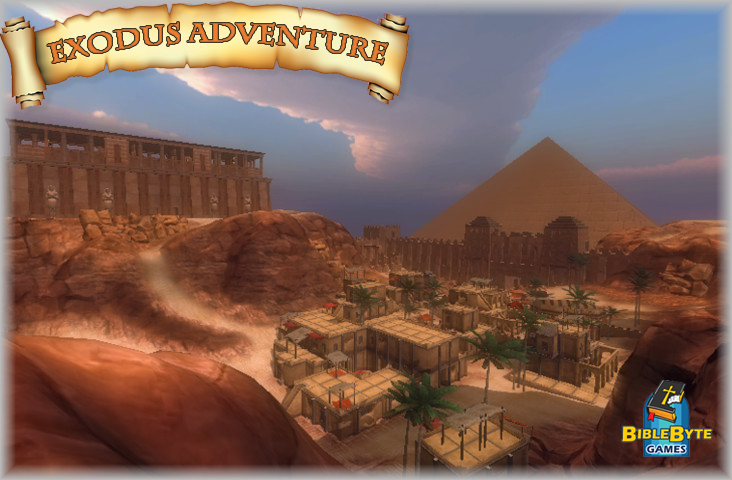 Vlado started creating the Egyptian City 3D Models back in 2013 and continues to expand them in Unity 3D. 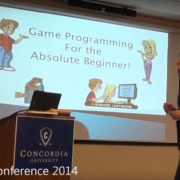 Phil Conrod Kicks Off The Absolute Beginners Track at the 2014 Christian Game Developers Conference held at Concordia University in Portland, Oregon. 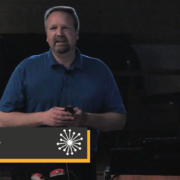 Phil Conrod will be conducting a game development workshop at the 2012 Christian Game Developer’s Conference at Cascade College in Portland Oregon. The workshop is called “Mentoring the Next Generation of Developers” and will be held on July 21, 2012 at 1:30pm.